On this page we’ve tried to include a variety of resources, which might be useful to you. They are about hate crime, being safe, forced marriage and rights. These are free national resources. We have developed our own resources you can view or download these from the Safety Net Resources page. 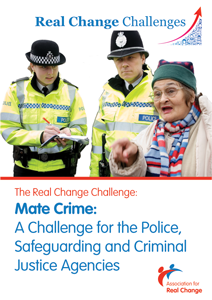 Part One of the two-part Real Change Challenge on Mate Crime brings together the work and findings of the Safety Net Project and sets out the context and identifies, through eight ‘outcome statements’, what people with learning disabilities should be able to expect in order to feel safeguarded from Mate Crime. Included is guidance on what service providers from all sectors can do to meet those expectations, how to report Mate Crime and ideas to help prevent it from occurring. 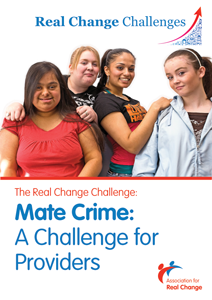 Part Two of the Real Change Challenge on Mate Crime outlines the context for those working in criminal justice agencies and identifies reporting strategies – including widespread recognition that Mate Crime is taking place – and service specific actions that can be employed to assist staff, help prevent people with a learning disability from falling victim to the crime and improve the recording of any such incidences. Included in the pack is a foreword by Paul Giannasi, Police Superintendent and Member of the ACPO Hate Crime Group. Hidden in plain sight is the final report of the EHRC’s inquiry into disability-related harassment. The report uncovers that harassment is a commonplace experience for disabled people, but a culture of disbelief and systemic institutional failures are preventing it from being tackled effectively. As well as reporting on the extent of harassment the report also includes case studies and makes recommendations to public authorities to help them deal with the problems uncovered. The Government has published a response to the Equality and Human Rights Commission’s (EHRC) report on disability related harassment. The response details plans on tackling hate crime and disability harassment and builds on work set out in a previous report Challenge it, Report it, Stop it – the Government’s plans to tackle hate crime. This report is the ‘blueprint’ of the Government’s plans to tackle hate crime. It looks at three key objectives; preventing hate crime by challenging attitudes and behaviours, increasing the reporting of hate crime through building confidence and ensuring the right support is in place and improve the response to hate crime. There is also a Welsh version on the Home Office website under the other downloads. The report shows that disabled people throughout the UK are facing “a crisis of justice”. Widespread casual and institutional disablism in Britain creates the conditions where disability hate crime can flourish without being recognised or challenged. In the Safety Net training that we deliver we talk at lot about people’s human rights. This booklet is a good easy read guide to the Human Rights Act and has been specifically written for people with learning disabilities with images provided by CHANGE picture bank. This article is about disability hate crime and is written by Louise Wallis from Respond. The Home Office, Foreign and Commonwealth Office and the Ann Craft Trust have been working on forced marriage and learning disabilities. They have published multi-agency practice guidelines. This Good Practice Guidance is for Crime and Disorder Reduction Partnerships and Learning Disability Partnership Boards. It is designed to tackle hate crimes against people with learning disabilities. Published alongside it was the Stop Hate Crime training pack. 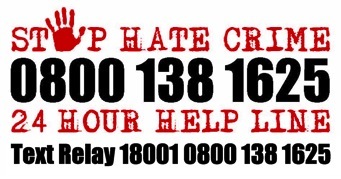 You can report a Hate Crime on the True Vision website. On the website you can also find out what hate crimes or hate incidents are, find out about the ways you can report them, report online using the online form and find information about people that can help and support you if you have been a victim. 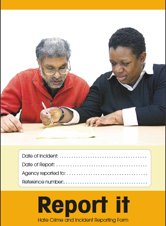 These should be used by jointly working with the local police, reporting centres and disability organisations. 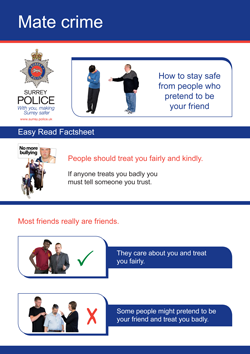 This document is an easy to use guide called Keep Safe, and it’s a guide to personal safety. It’s in easy read format and covers being safe at home, out and about, at the cash machine and more. Research from the Equality and Human Rights Commission (EHRC) has found that for many disabled people in Britain, safety and security is a right frequently denied. Published by The Equality and Human Rights Commission (EHRC) and the Office for Public Management. The report offers lots of examples of things that can happen that could be described as hate crimes. 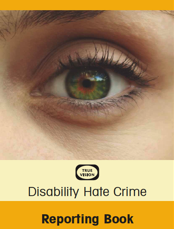 The CPS published a Disability Hate Crime Leaflet in easy read format to explain what the CPS is doing about prosecuting disability hate crimes. This is a report from the VPST and CSIP and discusses the findings of a survey sent to investigate the barriers to addressing hate crime. The survey was completed by Community Safety Partnerships, Learning Disability Partnership Boards and Self Advocacy Groups. The report includes recommendations to improve the situation for the future. An easy-read factsheet published Surrey Police as part of a Stop Hate Crime project funded by The Learning Disability Partnership Board in Surrey. Raising Your Game is a Mencap project for young people aged between 14 and 25 who have learning disabilities and/or communication issues. One of the aims of the project is to support people who might be at risk of getting into trouble with the police. 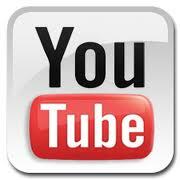 This video created by Raising Your Game shows young people who are going to go to court how to prepare for it, who the people in the courtroom are and what to do if you don’t understand. Would you like to know what is happening in your local area? Type your postcode into the website and click ‘search’ for more details. It is user friendly. The CEOP have added an accessible page to their Think U Know website about keeping safe online. 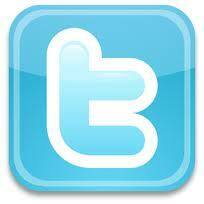 It is aimed at children but you might find this useful for all people using the internet. Am I being forced to marry? Louise Wallis from Respond has also developed an Easy to Read guide regarding Forced Marriage, Am I being forced to marry? is for people with learning disabilities. On the website you can download the booklet, or the guide for people supporting people with a learning disability or a poster which you can put up to raise awareness of forced marriages. This article from this is South Wales reports that the numbers of reported disability hate incidents rose from 77 to 344. But the local police have been working hard with the community to raise awareness and the higher levels of reporting are a positive. This speech to the University of Sussex is about the underreporting of disability hate crimes and was delivered by Keir Starmer, QC, Director of Public Prosecutions.